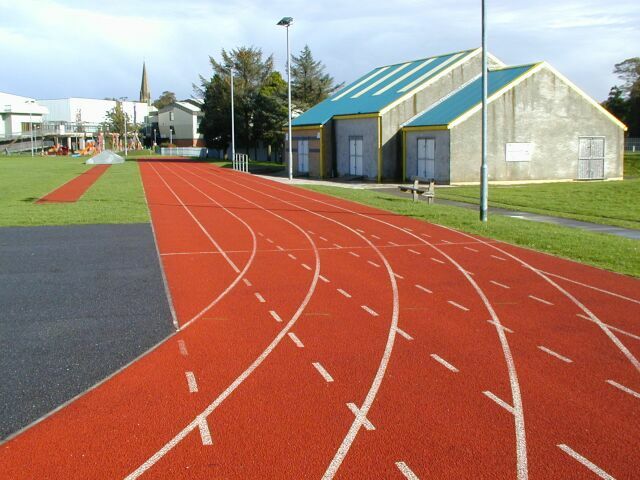 This 300m track was opened in 1997 by Lyn Davies & Tanni Grey. It was built with lottery funding and is run by Bridgend AC who have their clubhouse at the track. It is adjacent to Bridgend Recreation Centre in Newbridge fields and casual users should pay in there to use it.